Money is accordingly a system of mutual trust, and not just any system of mutual trust: money is the most universal and most efficient system of mutual trust ever created. Money has long fascinated me, and not for the obvious reasons. Although I’d like to have more of it, my interest is largely philosophical. It is the ontology of money that has always disturbed me. Ever since I was a child, collecting old coins and hoarding my pocket money, I’ve wondered why it is that certain physical tokens can function as money and others cannot. What is money made from? What is it grounded in? Why do certain monetary systems fail and others succeed? For many years, I set these questions aside, convinced that I had a basic grasp of how they could be answered. But in the past year they have re-emerged. I have started to teach a course on money and banking law. And, as is my wont, I cannot possibly teach it without trying to address some of the deeper philosophical issues. Some of these issues are purely political or ethical, but some are ontological. In particular, I have found the ontological questions to be pertinent when trying to assess the nature of cryptocurrencies like Bitcoin. This post is my first attempt to write down my thoughts on the ontology of money, in general, and Bitcoin, in particular. It is pitched at an introductory level, reassembled from notes I prepared for my classes. It may well contain some misconceptions or misunderstandings. I welcome feedback. The post is an attempt to achieve some degree of insight through the process of writing; not an attempt to reproduce well-thought out views in a written form. I’m going to break the discussion up into four main parts. First, I’ll talk about the social function of money. Second, I’ll discuss two different ontologies of money — the naive realist ontology and the more sophisticated subjectivist ontology. 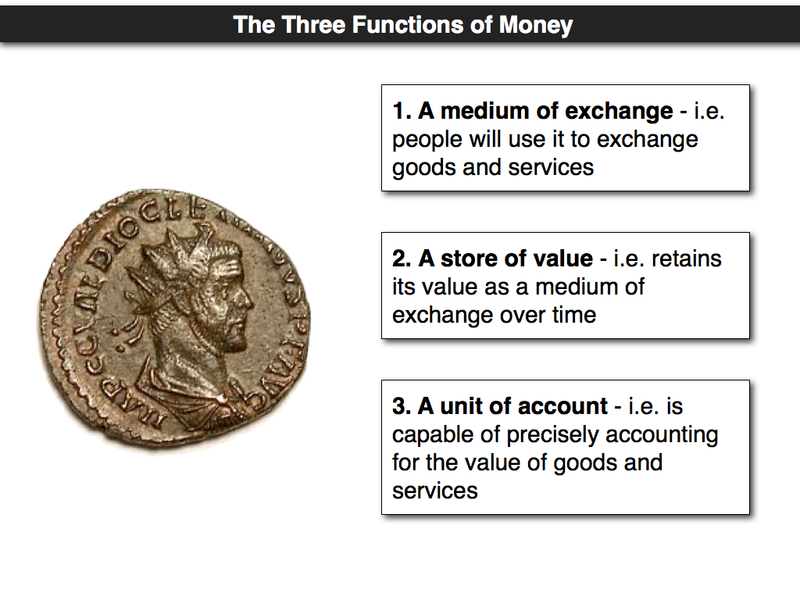 Third, I’ll talk about five steps in the social evolution of money. And then fourth, and finally, I’ll talk about Bitcoin and how it fits into my preferred subjectivist ontological theory. I don’t think the ontology of money can be understood apart from the social function of money. So that’s where I shall start. I can’t remember where I picked up the idea (I think it might have been from this podcast) but I like the analogy between money and a computer's operating system. Money can be seen as the operating system for an economy: the software program that greases the engines of production and exchange (I guess that’s an awkward mix of metaphors). Money has its origins in the importance of exchange. We all face the same basic problem of existence. We are mortal, fragile, biological beings. We need certain things in order to ensure our survival: food, clothing, shelter and so on. We also want certain things to make our existence more pleasant. How do we go about getting the things that we need and want? There are two basic strategies. The first is that of self-sufficiency, i.e. you, as an individual, can source and produce all the things you need to survive and (if you have any time left over) all the things you want in order to live a more pleasant life. The second is that of specialisation and exchange. Rather than spending all of your time catering to all of your needs and wants, you specialise in producing some particular good or providing some particular service, and then exchange with others who specialise in other areas. Medium of Exchange: It provides a medium for exchanging different goods and services. Put another way, it provides a medium for converting one type of good or service into another. This is perhaps the most important social function of money. Store of value: The medium is one that retains (to some degree) its value over time. In other words, if you have money put in your hands on Monday it can still function as a useful medium of exchange on Friday, because people still accept that it has a roughly equivalent value. If money loses its value too rapidly — as happens in hyperinflationary cycles — it ceases to provide a useful medium of exchange. Similar negative effects occur if it increases in value too rapidly: people might stop using it as a medium of exchange and hoard it instead. Unit of account: It provides a way of precisely accounting for the value of different goods and services. In other words, it is not too coarse-grained in how it accounts for their value. This is important insofar as an effective price system is thought to be essential not just for facilitating exchange, but for facilitating competition and the efficient use of resources. This is the standard economic account of the functions of money. It will be familiar to all first year economics students. But it is connected to the ontological question that I find more interesting: what is the “stuff” that performs these three functions? Ontology is the study of what there is; what kinds of things exist and what are they made of. When it comes to the ontology of money, I tend to think that there are two schools of thought. One, which I think is clearly incorrect, is the naive realist theory of money. This is one that I, and I suspect others, found appealing in our youths. The other, which I think is correct, is the sophisticated subjectivist theory of money. Of course, the labels “naive” and “sophisticated” are value-laden, and I could perhaps do without them. Nevertheless, I think they are worth tacking on, mainly because I think there is a naive subjectivist theory that we should seek to avoid. More on this anon. Naive Realist Ontology: Money is any physical commodity with intrinsic value, that can be used as a medium of exchange (i.e. it is a commodity that is valuable, but also portable, divisible, hard to fake etc.). I call this a naive realist ontology because it maintains that money is “out there” in the natural world, the world beyond that of human imagination and culture. It corresponds, roughly, to other realist ontologies insofar as it thinks that the phenomenon of interest is not dependent on human observers for its existence (i.e. it thinks that money is mind-independent). This is a view that I think many people find attractive in their youths. I know I did. I used to think that coins, particularly those made of precious metals, counted as money because there was some mystical intrinsic value attached to those metals. This view is naive and clearly false. History proves this point. Humans have used many commodities over the centuries, from tea leaves and cowry shells to pieces of paper and lines of computer code, as money. Many of these things lack intrinsic value (whatever that is). In fact, most of them lack instrumental value (beyond the value they provide as a medium of exchange). This is true of precious metals just as much as it is true of coloured printed paper. It is obvious that a piece of paper with numbers and symbols upon it has no intrinsic value, but, when you think about it, it is also pretty clear that gold and silver are devoid of intrinsic value. They merely have the value that particular cultures attach to them (e.g. for ornamentation and jewelry). If such a diverse, and clearly intrinsically valueless array of phenomena can count as money, the naive realist view must be false. Sophisticated Subjectivist Ontology: Money is anything (physical or non-physical) that humans are collectively willing to represent and intend to function as a medium of exchange, store of value and unit of account. To go back to the software analogy introduced earlier on, money isn’t some physical hardware that is “out there” in the real world, rather it is a software package that all participants in an economy simply agree to run on their brains. I believe it was Terence McKenna who once said that “what we call reality is, in fact, nothing more than a culturally sanctioned and linguistically reinforced hallucination”, and while I wouldn’t endorse this as a general description of reality, I think it is perfectly true when it comes to the reality of money. It really is just a collective hallucination. Why should anyone be willing to exchange a fertile rice paddy for a handful of useless cowry shells? Why are you willing to flip hamburgers, sell health insurance or babysit three obnoxious brats when all you get for your exertions is a few pieces of coloured paper? People are willing to do such things when they trust the figments of their collective imagination. Trust is the raw material from which all types of money are minted….What created this trust was a very complex and long-term network of political, social and economic relations. Indeed, it is when you realise how difficult it is to create a system of mutually reinforcing trust that something of the naive realist view of money starts to creep back in. It turns out that some physical (and social) phenomena are better at creating such a system than others. So we cannot completely ignore the features of the objective (mind-independent) reality when it comes to understanding the ontology of money. This point can be illustrated by considering the historical evolution of money. Unfortunately, history is full of messy and complex facts. I cannot pretend to know everything about how money came to be or how it changed over time. Nevertheless, I think I can point to five steps in the evolution of money. These five steps may represent something of a historical “just so” story — one that cannot be easily mapped onto a chronological sequence of historical events — but I think they do capture something of the truth. (Note added after original publication: The historical problems with the following account have been pointed out to me in the comments. I accept that it is probably inaccurate and tried to hedge against this possibility in the original draft. Nevertheless, I think the steps outlined below do provide some potential conceptual (i.e. non-historical) truths when we adopt an exchange theory of money. This exchange theory is what my ontological theory covers. If we adopt alternative theories (e.g. the social relation theory) some aspects of that ontology would be affected, though I think the basic gist -- that money is an exercise in reinforced collective imagination -- would be retained. It is something I will be thinking about and may write an alternative ontology of money/bitcoin at a later date. For the time being, you can take this as the exchange ontology of money/bitcoin). Step One - Barter: This is actually a pre-monetary step. It is what prevailed in economically simple ancient communities and what resurfaces at times of monetary crisis. It involves the direct exchange of one good or service for another, with no intervening medium of exchange. Its limitations are what spur the need for the mental creation of money. In a barter system, members of the community can struggle to store value in physical goods and services (the vegetables I grow in my garden will rot and go off), to find willing partners for exchange (the fisherman down the road may not want any of my vegetables) and to meaningfully account for the value of different items (how much is a freshly-caught salmon worth in sticks of celery?). 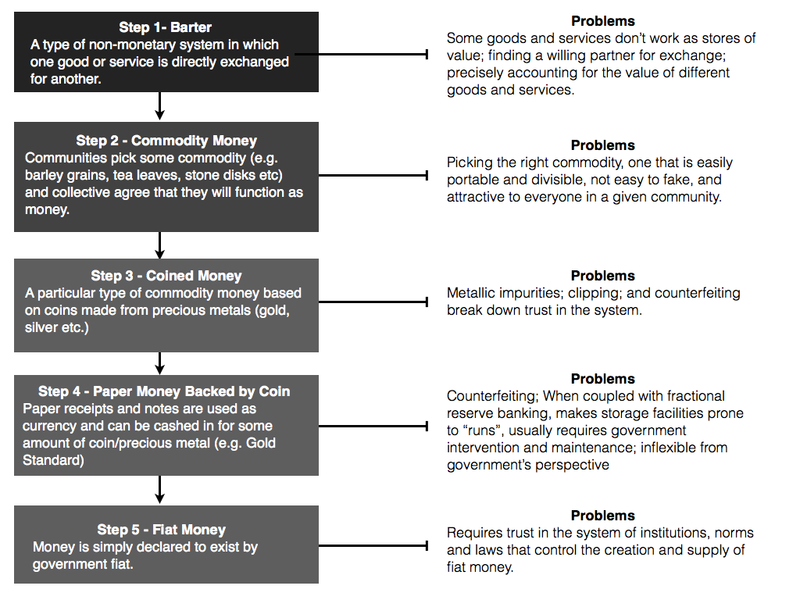 Step Two - Commodity-based Systems: This is really the first step in the development of proper money. It is what happens when a community picks some available commodity (barley grains, shiny stones, sea shells, salt, tea leaves etc) and collectively agree (through practice and trial and error, not through formal contract) that this commodity will function as money. Many different societies have trialled many different types of commodity money. Some commodities are clearly better at doing this than others. The stone disks used as money on the Island of Yap, for instance, have some limitations. They are not readily portable and divisible, and are unlikely to be accepted as valuable in other communities. They also face a trust problem: how do you ensure that people do not “double-spend” their stone disks? Step Three - Coined Money: This is a sub-type of commodity money based on coins made from precious metals such as gold, silver and bronze. It was an effective system of commodity money and became popular in a number of different cultures. There were many reasons for this. Precious metals had some instrumental value across many different cultures (for making weapons, tools, jewelry etc) and so could facilitate larger trade networks. They were also highly portable, and capable of being melted and sub-divided into units representing different quantities of value. However, they too faced a trust problem. Initially their value was tied to the weight or quantity of the metal in the coin, that was part of the reason people were willing to accept them as currency. But it was always possible to introduce counterfeit or impure coins. Communities tried to counteract this by adding official stamps and signs to the official currency. Counterfeiters reacted by developing methods for copying these stamps and signs. The trust arms-race started to take-off: governments introduced more and more elaborate mechanisms designed to restore trust in the monetary system (I ignore, for now, the fact that some governments also tried to decrease the value of their currencies through a practice known as seignoirage). Step Four - Paper Money Backed by Coin/Precious Metal: Although coined money was relatively effective as a medium of exchange, it did have some inconvenient features. In addition to the counterfeiting problem, large sums of coined money were difficult to carry around and made one a target for thieves and bandits. As a convenience, goldsmiths started to offer safe storage facilities to people who wished to stash their coins. They would be issued with receipts which they could exchange for coin. In time, people started to use these slips of paper to pay for goods and services, confident that the holder of the receipt could always trade-in for the prescribed amount of coin. Paper money was born. Paper money also had its trust problems, with counterfeiting being a serious issue (as it still is) and with occasional crises of confidence when the holders of coin reserves became involved in fractional reserve banking. Since these institutions would lend multiples of the actual sums of coined money they held on reserves, they were prone to “runs” when people worried that borrowers would not be able to pay back their loans. Centralisation of the banking and monetary systems solved some of these problems and led to perhaps the most famous system of paper money backed by precious metal: the Gold Standard. Step Five - Fiat Money: [Skipping over lots of the important historical details] The next step in the evolution of money came when governments (who controlled the gold standard) realised that this system was expensive, and limited what they could do during times of national crisis (e.g. during WWI and the Great Depression) to restore confidence to the broader economy. They realised that it was possible to get people to trust the paper money system through force of law alone. All the government had to do was declare that X amount of money was in existence, and thus it was that X amount money came into existence. This is money created by governmental fiat. This is the system that prevails today, and nowadays the majority of such money does not exist in paper or coined form. It exists as account balances on computer programs run by the banking system. This fiat system also clearly suffers from trust problems: it only works to the extent that people have faith in the stability and probity of government, and the prudence of the banking system. As I say, this is a crude summary of the historical evolution of money. But I think it does show why our subjectivist ontology must be sophisticated rather than naive. We see now the problems that arise when trying to create a system of mutual trust that will provide the basis for money. For the majority of human history, these problems were solved by attaching value to commodities with the right kinds of properties (portable, divisible, widely perceived as having instrumental value, hard to fake etc.) and correcting for any trust deficits through the use of institutions and laws. In the most recent evolutionary step, money has been delinked from physical commodities. The mutual trust needed is fashioned from our trust in other social institutions (specifically governments, central banks and banks). These institutions are themselves fashioned out of our collective imaginations. Money has now truly become a collective hallucination, one that is maintained by a complex and esoteric network of rituals and laws. Where do Bitcoin and other cryptocurrencies fit within this ontological framework? Despite claims to the contrary made by its mysterious founder — Satoshi Nakamoto — Bitcoin is not a “trustless” monetary system. It is just as much an exercise in collective trust and imagination as is the fiat money system. But it does mark something of a move away from the pure fiat system and a return to the classic commodity-based systems. Only this time the commodity in question is not some physical object like silver or gold, but rather a digital program that runs on a decentralised network of computers. Bitcoin tries to solve the trust problem by getting us to attach value to a computer program with a number of unique properties. I’m going to try to describe some of these properties now. But before I do so a caveat: the Bitcoin protocol solves the trust problem in a manner that also tries to implement a whole political and economic philosophy (roughly that of the Cypherpunk movement). In what follows, I try to ignore the features of that political and economic philosophy as much as possible. I do so not because I think they are unimportant or uninteresting — far from it: I want to write another post on whether Bitcoin is an economic and political failure at a later date — but because some of those details may distract from the purely ontological focus of this post. So, anyway, what are the properties of the Bitcoin protocol that address the trust problem? This is not the place to launch into a full explanation of how Bitcoin works. To be honest, some of the technical details elude me (I have a basic grasp of how cryptographic hash functions work and how the mining competition operates, but I couldn’t claim to know everything). Fortunately, all I need to explain the ontology of Bitcoin are a few choice details. One of which is the basic gist of the idea. Bitcoin takes to the hilt the notion that pretty much anything can be used to represent value. It does this by encouraging people to attach value to digital tokens that represent numerical balances stored in personalised digital wallets. It then gets people to trust that these digital tokens and balances really can represent stores of value, and really can function as a medium of exchange, by creating a system that protects them from fraud and abuse (the digital tokens are bitcoin the currency; the protective system is Bitcoin the protocol). Every type of money is open to fraud and abuse. What types of fraud and abuse are unique to Bitcoin? One of the major problems with a digital currency is that its users are being asked to trust that the digital records of their balances and payments are accurate. This is a tough sell since it is so easy to create and copy digital files. A user will always be inclined to ask: Couldn’t somebody be using the same digital token to pay for many different things? Couldn’t a sophisticated programmer or hacker be altering the digital records, stealing currency from others or creating an endless supply for themselves? The Blockchain: This is probably the key property of the Bitcoin program. 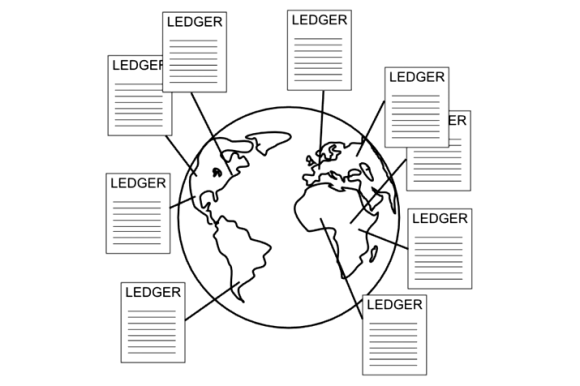 It is a decentralised digital ledger that contains a record of every bitcoin transaction that has ever taken place. This ledger is what gives people confidence in the system. It allows them to be sure that there are no double-spends or fake transactions. It is constantly growing, and maintained and verified by a decentralised network of computers (in theory: anyone can contribute to this effort, provided they have the right equipment). This process of maintenance and verification occurs in ten minute intervals. Cryptographic Security: The program uses a variety of cryptographic methods to protect the anonymity of its users and to prevent fraud and abuse. The primary methods are public key encryption, cryptographic hash functions, and proof of work protocols. These methods are used, respectively, to enable primary transactions between buyers and sellers, to add transaction data to the decentralised ledger, and to verify that the correct transaction data is being added to the Blcokchain. These are all essential to ensuring that people trust the system. Competitive Mining: The people who maintain and verify the Blockchain are encouraged to do so through an interesting reward mechanism. During each ten-minute round, the computers running the system participate in a competition to ensure that they are the ones that get to add the next verified transaction block to the Blockchain. If they win this competition, they are rewarded with some freshly minted bitcoin. This has nothing to do with creating and maintaining trust per se, but rather with attracting people to the currency in the first place. In other words, it gets them to buy into this particular collective hallucination. Radically Deflationary Currency: The final property of the Bitcoin program is that the currency is radically deflationary. That is to say: less and less of it will be created over time, until the maximum of 21 million bitcoin is reached. This stands in direct opposition to modern fiat money systems which are, if anything, radically inflationary in nature. Again, the radically deflationary nature of the currency has nothing to do with maintaining trust in the system, but rather with encouraging people to get onboard. Why? Because if a radically deflationary currency takes off, the particular units of currency can be expected to go up in value over time. Thus, if you are an early adopter, you will be richly rewarded. The purchasing power of your units of currency will increase, rather than decrease over time. These are the four properties of the Bitcoin program that I think have facilitated is acceptance as a type of money. But these four properties are not the end of the story. Many other people tried to create digital currencies with similar properties, and yet they all failed to take off. What was it about this particular version that captured the popular imagination? The answer does not lie in the features of the protocol alone. 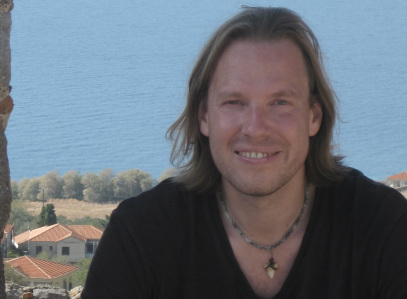 The answers lies in the particular socio-cultural milieu in which Bitcoin was launched. It is probably no coincidence that Bitcoin was launched and took off in the aftermath of the Financial Crisis of ’08. This was a moment when our collective trust in the social institutions propping up the fiat money system was at a low ebb. It is also helped that Bitcoin came along at a point in time when the internet — and the concept of digital transactions — had reached a certain level of maturity. People had already begun to believe in the notion of a digital payment system: the notion of a completely digital currency was less of a conceptual leap. Finally, it no doubt helped that the anonymity of Bitcoin facilitated a community of people who wanted to trade in illegal goods and services (such as the illegal narcotics that could be bought and sold on the Silk Road). This post has gone on for too long. I’ll wrap up by summarising three key points. First, in terms of the ontology of money, I think we ought to subscribe to a sophisticated subjectivist ontology, according to which money is simply anything that people collectively agree can represent and function as a medium of exchange, store of value and unit of account. In short, money is a collectively reinforced hallucination. Second, it is not easy to get people to collectively agree to a particular system of money. They need to trust that the system really will function as a medium of exchange, store of value and unit of account. Many different systems have been trialled over the course of human history, each of which comes with advantages and weaknesses. The two primary systems are the traditional commodity-based systems — which try to manufacture the necessary trust by utilising commodities with a unique set of properties; and fiat systems — which try to manufacture the necessary trust by using a network of social institutions, norms and laws. Third, Bitcoin fits within this general subjectivist ontology. It is not a trustless system. It tries to manufacture the necessary trust by utilising a computer program with a number of unique properties. These include: (i) the Blockchain, which provides an authoritative record of transaction data; (ii) the various methods of cryptographic security, which make it hard for hackers to fake or manipulate transaction data; (iii) the mining competition, which incentivises people to maintain the authoritative record; and (iv) the radically deflationary nature of the currency, which encourages people to opt into the system by guaranteeing that, if it takes off, the units of currency will increase in value.